Did you check out the remaining Odds 'n Ends pages? Click this link - VFP-62 Webmaster to send a comment or have an announcement posted to this page. 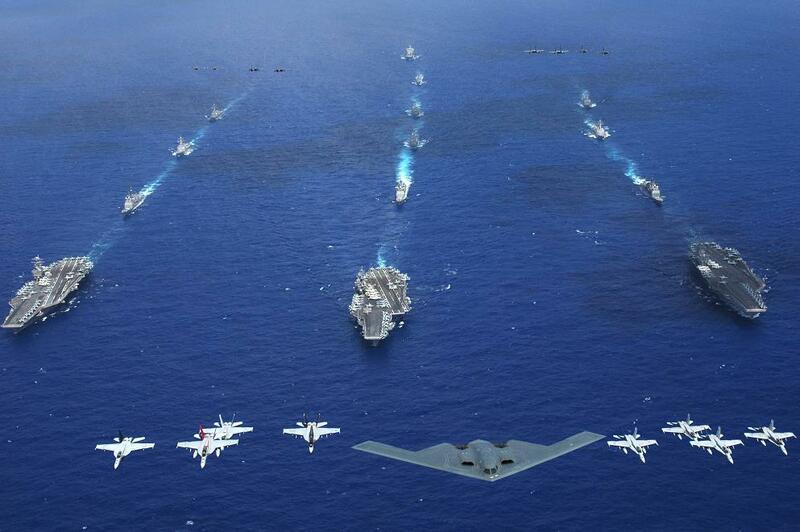 (10/25/13): The United States is building its next generation of aircraft carrier, the FORD-class carriers. 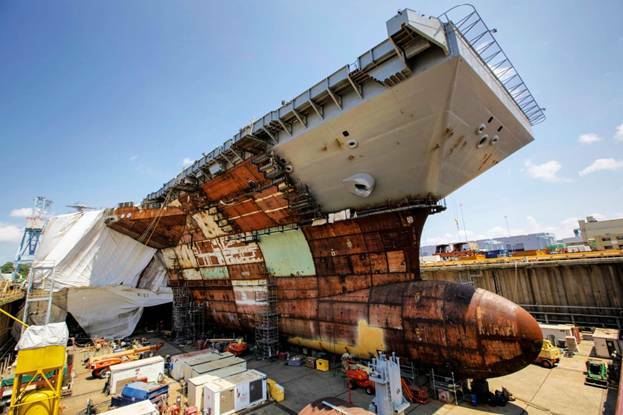 The numbers behind the USS Gerald R. Ford are impressive; about $14 billion in total cost, 224 million pounds, about 25 stories high, 1,106 feet long, and 250 feet wide. The Ford will handle up to 220 takeoffs and landings from its deck every day. Part of that quick turnaround is because, when aircraft like the new F-35 return for maintenance, the plane's network will already have alerted ground crews to what's needed so they can get the aircraft on its way faster than ever before. A new electromagnetic catapult system that's more efficient and gentler on the multi-million-dollar jets replaces the steam-generated catapult systems of older generation carriers. The new FORD-class aircraft carrier will be the largest, most lethal ship ever when it joins the US fleet in 2016. 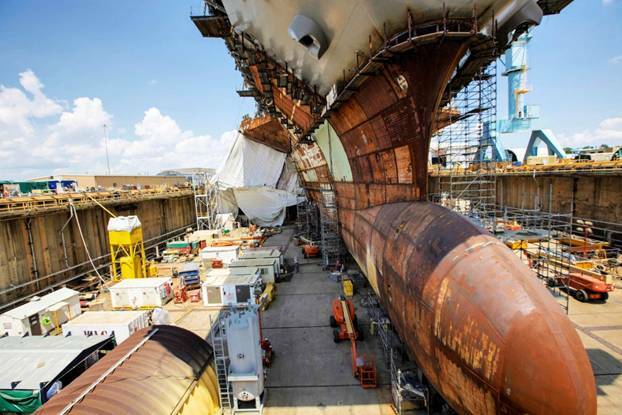 This bow (second-from-left photo) alone is more than three stories tall and weighs 116,000 pounds. 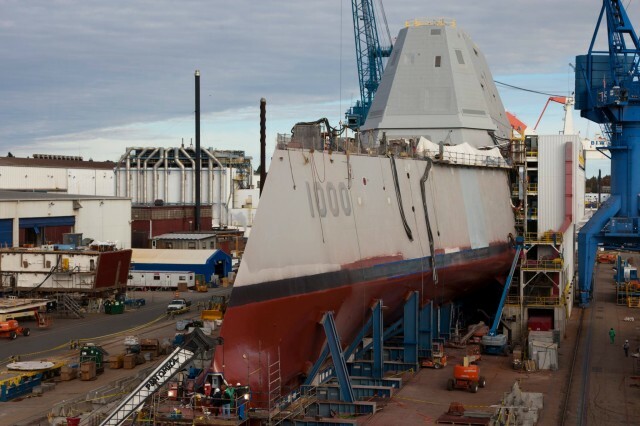 For the first time the Navy will have no urinals on this carrier. Gender neutral toilets mean berthing can be swapped between male and female without concern and one unit means fewer spare parts and repair. The Navy is requesting larger pipes for the Ford to prevent blockage and unpleasant smells, which are common issues on carriers. 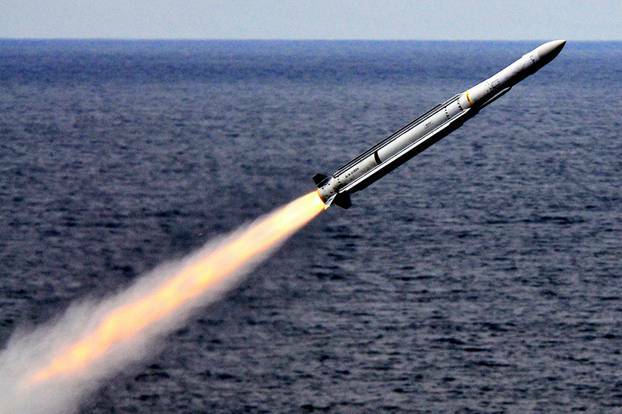 The Sea Sparrow Missile (left photo) also factors into lethality with its ability to fly four times the speed of sound, turn on a dime, and intercept anti-ship missiles more than 30 miles out. Ford's lethality is also enhanced by the RIM 116 short-range defensive surface to air missile (third-from-left photo). 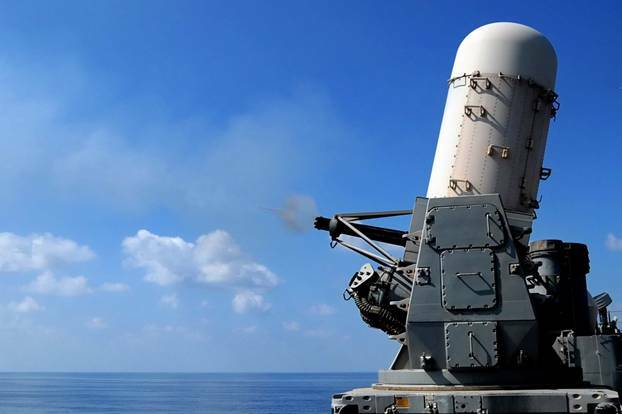 The radar-guided, rotating 20mm Gatling Gun (right-most-photo) called the Phalanx CIWS (Sea-Wiz). 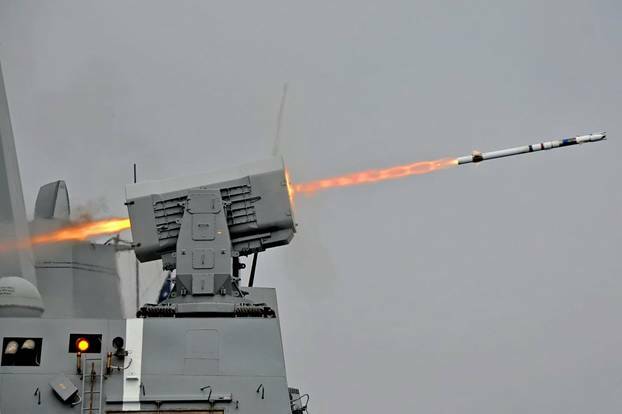 That lethality aims to help keep sailors safe and the enemy less so. BALAD AIR BASE, Iraq (AP) � The airplane is the size of a jet fighter, powered by a turboprop engine, able to fly at 300 mph and reach 50,000 feet. It is outfitted with infrared, laser and radar targeting, and with a ton and a half of guided bombs and missiles. The Reaper is loaded, but there is no one on board. Its pilot, as it bombs targets in Iraq , will sit at a video console 7,000 miles away in Nevada . The arrival of these outsized U.S. "hunter-killer" drones, in aviation history's first robot attack squadron, will be a watershed moment even in an Iraq that has seen too many innovative ways to hunt and kill. That moment, one the Air Force will likely low-key, is expected "soon," says the regional U.S. air commander. How soon? "We're still working that," Lt. Gen. Gary North said in an interview. The Reaper's first combat deployment is expected in Afghanistan , and senior Air Force officers estimate it will land in Iraq sometime between this fall and next spring. They look forward to it. "With more Reapers, I could send manned airplanes home," North said. The Associated Press has learned that the Air Force is building a 400,000-square-foot expansion of the concrete ramp area now used for Predator drones here at Balad, the biggest U.S. air base in Iraq , 50 miles north of Baghdad . That new staging area could be turned over to Reapers. It is another sign that the Air Force is planning for an extended stay in Iraq , supporting Iraqi government forces in any continuing conflict, even if U.S. ground troops are drawn down in the coming years. The estimated two dozen or more unmanned MQ-1 Predators now doing surveillance over Iraq , as the 46th Expeditionary Reconnaissance Squadron, have become mainstays of the U.S. war effort, offering round-the-clock airborne "eyes" watching over road convoys, tracking nighttime insurgent movements via infrared sensors, and occasionally unleashing one of their two Hellfire missiles on a target. From about 36,000 flying hours in 2005, the Predators are expected to log 66,000 hours this year over Iraq and Afghanistan . The MQ-9 Reaper, when compared with the 1995-vintage Predator, represents a major evolution of the unmanned aerial vehicle, or UAV. At five tons gross weight, the Reaper is four times heavier than the Predator. Its size � 36 feet long, with a 66-foot wingspan � is comparable to the profile of the Air Force's workhorse A-10 attack plane. 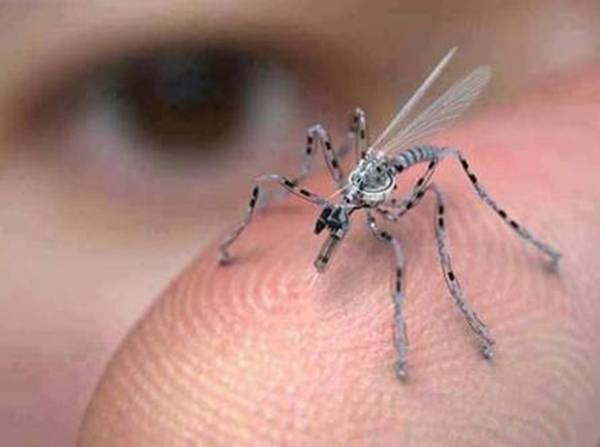 It can fly twice as fast and twice as high as the Predator. Most significantly, it carries many more weapons. While the Predator is armed with two Hellfire missiles, the Reaper can carry 14 of the air-to-ground weapons � or four Hellfires and two 500-pound bombs. "It's not a recon squadron," Col. Joe Guasella, operations chief for the Central Command's air component, said of the Reapers. "It's an attack squadron, with a lot more kinetic ability." "Kinetic" � Pentagon argot for destructive power � is what the Air Force had in mind when it christened its newest robot plane with a name associated with death. "The name Reaper captures the lethal nature of this new weapon system," Gen. T. Michael Moseley, Air Force chief of staff, said in announcing the name last September. General Atomics of San Diego has built at least nine of the MQ-9s thus far, at a cost of $69 million per set of four aircraft, with ground equipment. 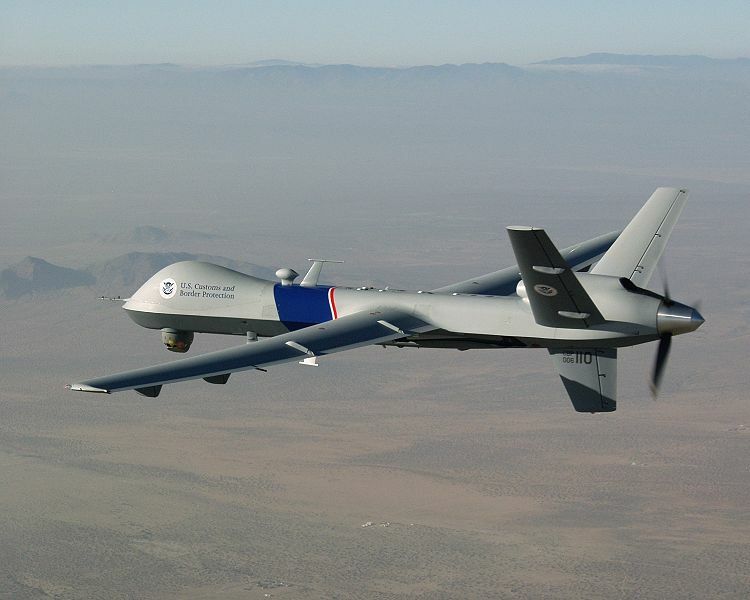 The Air Force's 432nd Wing, a UAV unit formally established on May 1, is to eventually fly 60 Reapers and 160 Predators. The numbers to be assigned to Iraq and Afghanistan will be classified. The Reaper is expected to be flown as the Predator is � by a two-member team of pilot and sensor operator who work at computer control stations and video screens that display what the UAV "sees." Teams at Balad, housed in a hangar beside the runways, perform the takeoffs and landings, and similar teams at Nevada 's Creech Air Force Base, linked to the aircraft via satellite, take over for the long hours of overflying the Iraqi landscape. American ground troops, equipped with laptops that can download real-time video from UAVs overhead, "want more and more of it," said Maj. Chris Snodgrass, the Predator squadron commander here. The Reaper's speed will help. "Our problem is speed," Snodgrass said of the 140-mph Predator. "If there are troops in contact, we may not get there fast enough. The Reaper will be faster and fly farther." The new robot plane is expected to be able to stay aloft for 14 hours fully armed, watching an area and waiting for targets to emerge. "It's going to bring us flexibility, range, speed and persistence," said regional commander North, "such that I will be able to work lots of areas for a long, long time." The British also are impressed with the Reaper, and are buying three for deployment in Afghanistan later this year. The Royal Air Force version will stick to the "recon" mission, however � no weapons on board. Poised to replace Cold War U-2 spy plane. Note the mission paintings on the fuselage. It's actually over 250 missions (And I would suppose 25 air medals). That's a long way for a remotely piloted aircraft. Think of the technology as well as the required quality of the data link to fly it remotely from a source thousands of miles away. Not only that, but the pilot controls it from a nice warm control panel at Edwards AFB, CA. It can stay up for almost 2 days at altitudes above 60k. 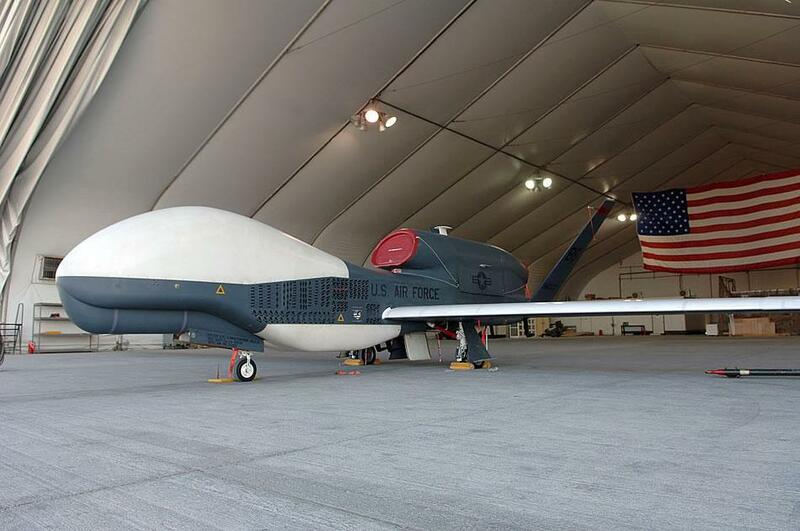 The Global Hawk is controlled via satellite. It flew missions that went from Edwards AFB, CA. and back nonstop. Basically, they come into the fight at a high mach number using military thrust power, fire their AMRAAMS, and no one ever sees them or paints with radar. There is practically no radio chatter because all the guys in the flight are tied together electronically and can see who is targeting who, and they have AWACS (Airborne Early Warning and Control Systems) direct input, as well as 360 situational awareness from that and other sensors. The enemy had a definite morale problem before it was all over. It is to air superiority what the jet engine was to aviation. It can taxi out, take off, fly a mission, return, land and taxi back on its own. There are no blackouts, pilot fatigue, relief tubes, ejection seats, and best of all, no dead pilots, and no POWs. Endurance:	4 days at 65,000 ft.
Wingspan equal to the width of a good size building lot It's relatively light (at 5 ton), slow, flies at twice the altitude of commercial transport. It's powered by the equivalent of 2 compact car engines and stays aloft for 4 days.